Benton & Tilley: Please Do Not Kiss Mr. Darcy! 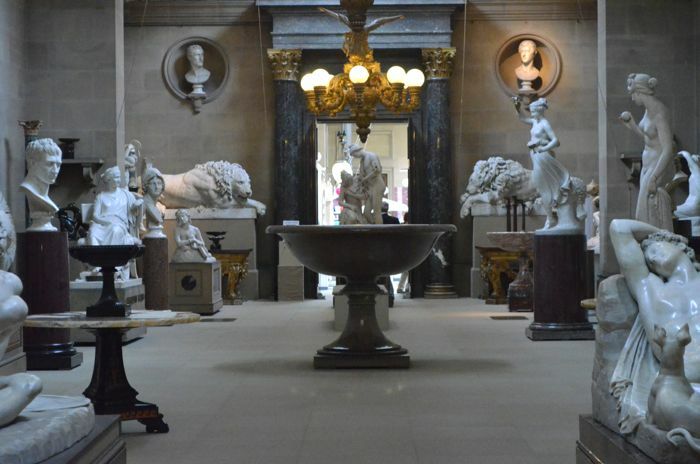 I couldn't fit all of the wonderfulness of Chatsworth into one post, so today I wanted to give you a peek at some other highlights. Below are my five favorite things from around the house! Not only was the 2005 iteration of Pride & Prejudice filmed at Chatsworth, many observers believe that Jane Austen used Chatsworth as inspiration for the book. 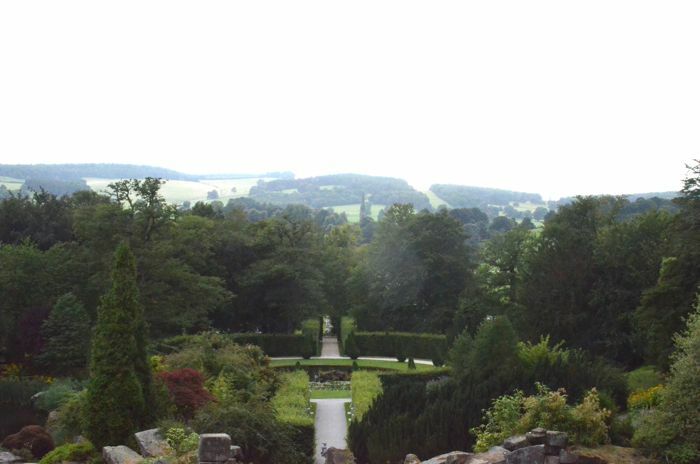 Pemberley and the English countryside described in the book are quite reminiscent of Chatsworth. 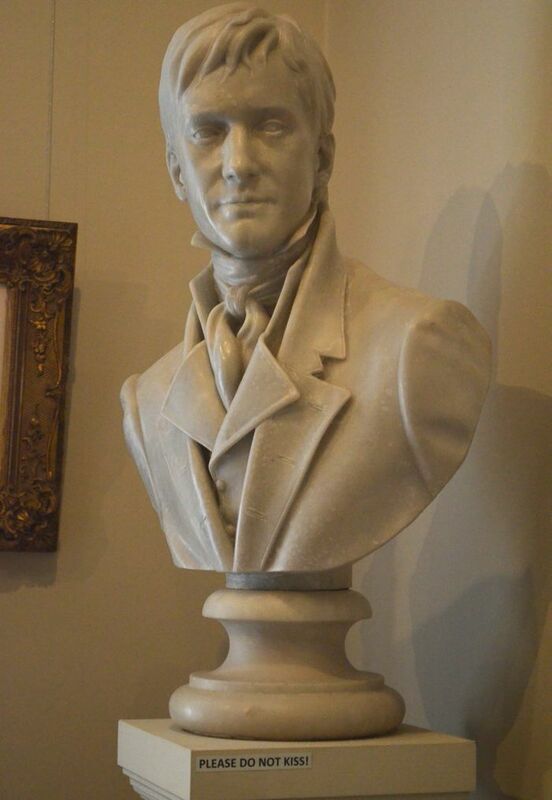 Additionally, Mr. Darcy and the 6th Duke of Devonshire had many similarities. For example, they both fell in love with a woman in much lower social standing, but in the Duke's case, he did not marry her. Also, both Mr. Darcy and the Duke were raised with another male that their father favored. However, in the Duke's case, he was quite close to this man. Below you can see a funny little statue of Mr. Darcy on display at Chatsworth. 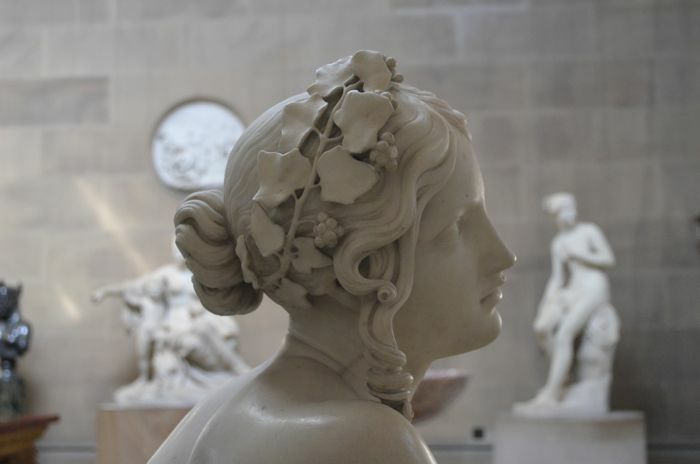 Also, you can see the pictures of the statue gallery Keira Knightly wandered through in the movie. Like many great English estates, Chatsworth has incredible gardens. You can wander around them for hours -- truly -- and still not see everything. 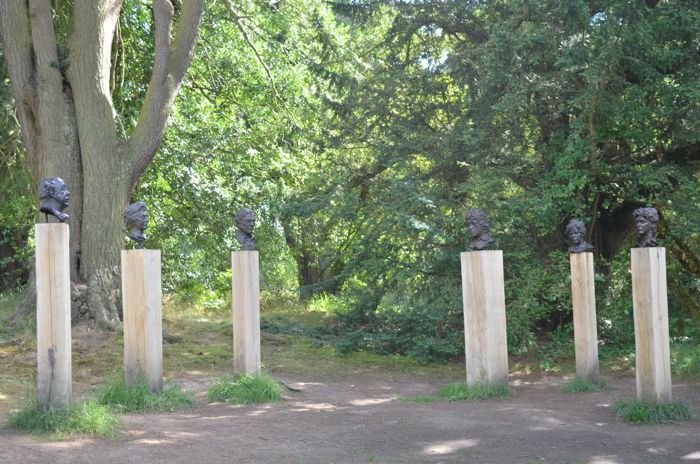 During one afternoon, I found myself going deeper and deeper into the garden until I came across an opening amongst the trees and saw this collection of bronze busts. They are both beautiful and haunting. 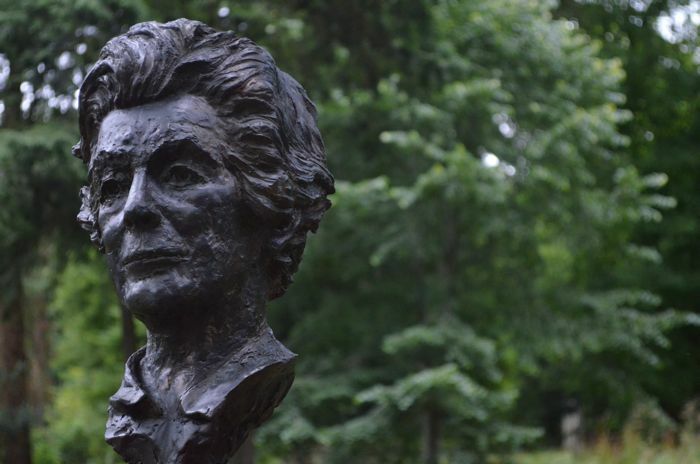 The portrait busts consist of many public figures, many of whom are closely associated with Chatsworth. The one below is of Deborah Cavendish (née Mitford), the Dowager Duchess of Devonshire. 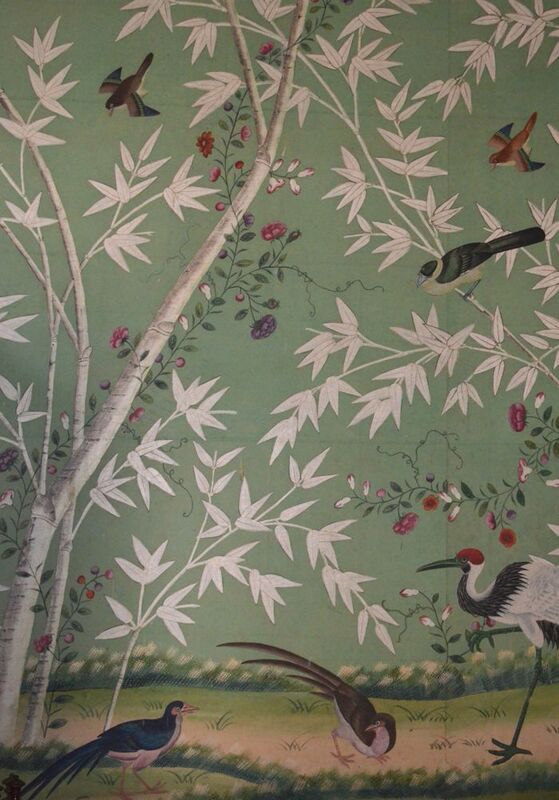 I pretty much die for hand painted wall paper -- Gracie wallpaper, de Gournay wallpaper, you name it. But my favorite pattern I have ever seen is the one below featured in one of the bedrooms at Chatsworth. The 6th Duke of Devonshire had much of this wallpaper installed in the 1790s and there are different iterations throughout the house. I love the aqua color and the delicate Asian quality of the one below. 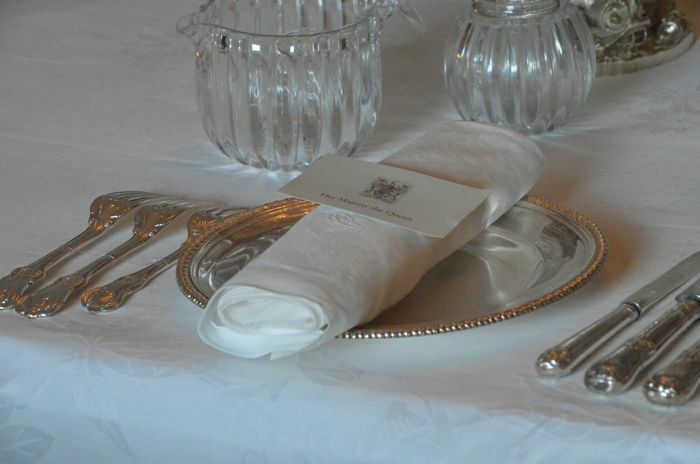 If you look at the place setting below, you'll notice that the forks are upside down. This placement served two purposes. First, because people wore clothing with long and frilly sleeves, the forks were placed in this manner to prevent clothing from getting snagged. Second, forks being placed upside down showed whether utensils were in use or not. Thus, at the end of a meal, if you were finished with a fork, you would place it upside down. Capability Brown was a British landscape architect that designed and shaped much of England parks and gardens as we know them today. 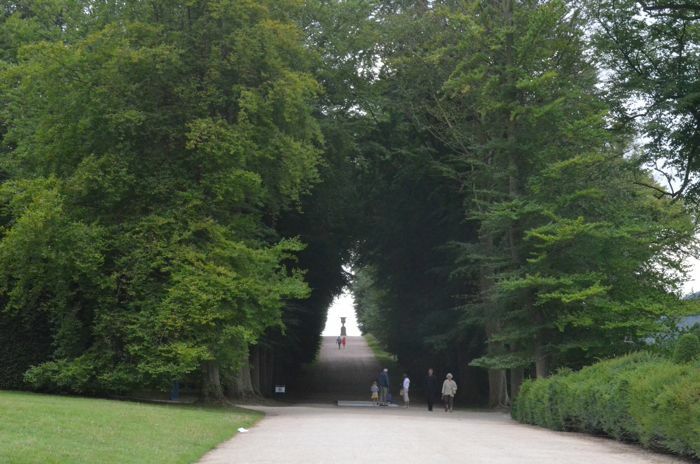 When Chatsworth's gardens were first created, the original landscape architect (not Capability Brown) wanted everything to be very orderly and precise, which coincided with the prevailing view at the time that nature was something to be harnessed and tamed. 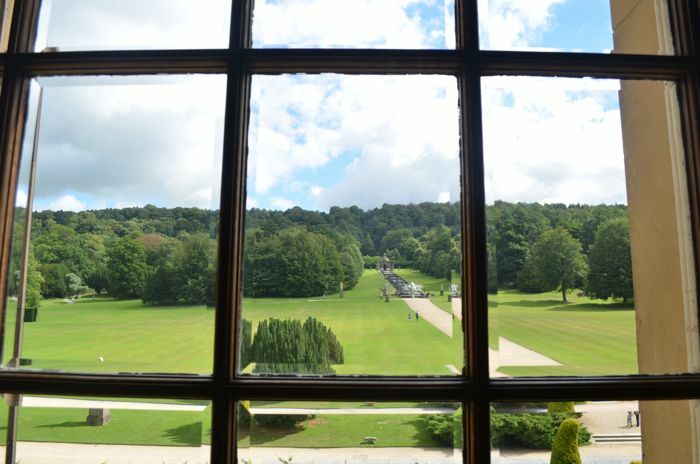 But the 4th Duke of Devonshire hired Capability Brown to redo landscaping, who created a more fluid and natural look and each house window was meant to frame a view of the landscape. love Darcy and love the fork facts. swoon. You would love it out there! I bet a few ladies cant resist a kiss haha! Still haven't read any Jane Austen, but this makes me want to jump straight into her era and books. Start with Persuasion - quite good!